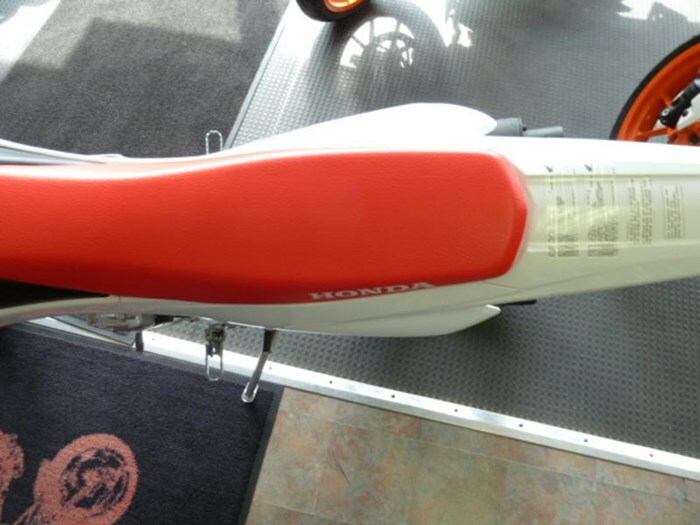 Ideal for beginners - Durable, simple, low-maintenance, 124.9 cc air-cooled single-cylinder 4-stroke engine develops the smooth, tractable power that's ideal for beginners. 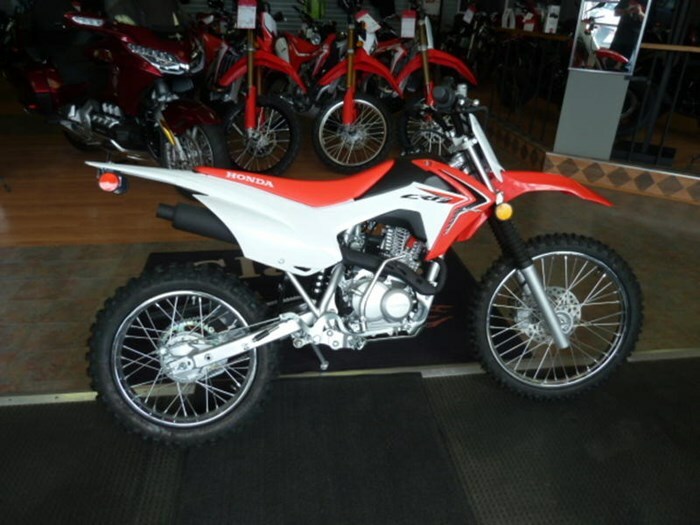 2018 Honda® CRF125FB A step up before they step out Features may include: Engine & Drivetrain Ideal for beginners Durable, simple, low-maintenance, 124.9 cc air-cooled single-cylinder 4-stroke engine develops the smooth, tractable power that's ideal for beginners. Simplified maintenance Ultra-reliable electronic ignition simplifies maintenance. Light throttle action 20 mm carb with light throttle action. No engine oil contamination Closed crankcase vent system safeguards against engine oil contamination. Easy starts in any gear Primary kickstarting for easy starts in any gear. 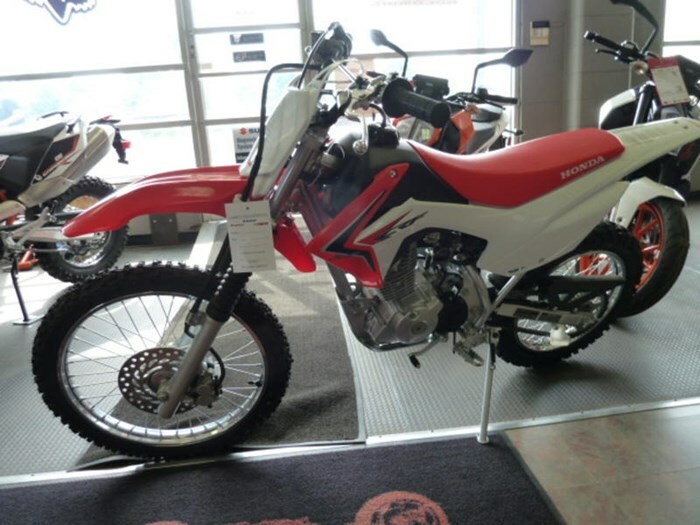 Designed to compete Lightweight, upswept, competition-type exhaust system utilizes a quiet muffler/spark arrester. Smooth-shifting transmission Durable, smooth-shifting four-speed transmission Smooth – from stand-still to start Heavy-duty manual clutch with light, smooth, progressive engagement. Easy to start Convenient electric starter makes starting a breeze. 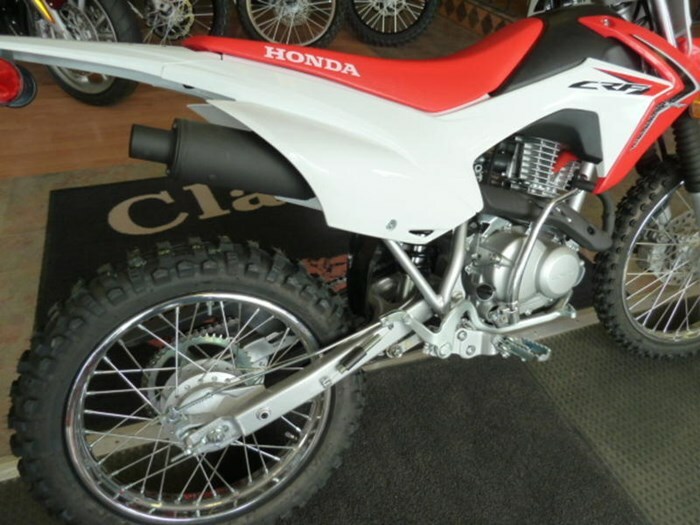 Chassis & Suspension Rigid & durable for off-roading Lightweight, high-tensile steel frame is ridgid, durable and offers ideal geometry for recreational off-road riding. Compliant suspension travel 31 mm leading-axle front fork offers 150 mm (5.9 in.) of compliant suspension travel. Excellent wheel travel Pro-Link, single-shock rear suspension with box-section swingarm offers 150 mm (5.9 in.) of wheel travel. Remarkable grip & longevity Knobby tires fitted to 19-inch front and 16-inch rear rims offer excellent grip and long life. 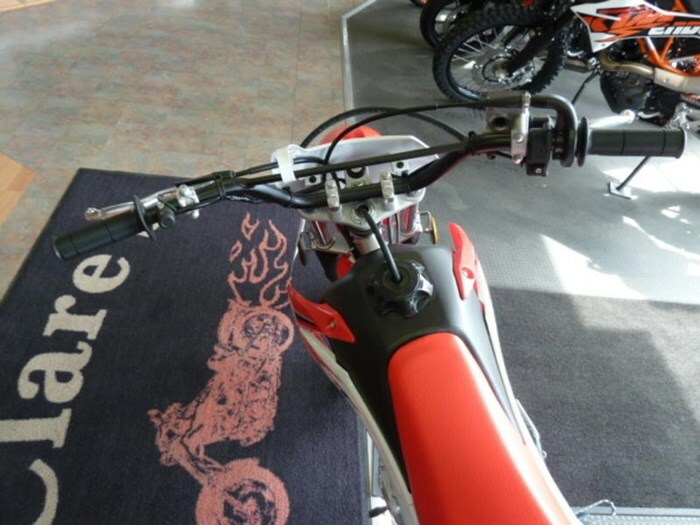 Simplified maintenance Lightweight, screw-type drive chain adjusters simplify maintenance. Easy-to-modulate brakes Powerful front disc and lightweight rear drum brakes are easy to modulate.